14T & GM 11.5 30Spline (38.2 ->42.2 ) CUT-TO-FIT AXLE SHAFT4340. 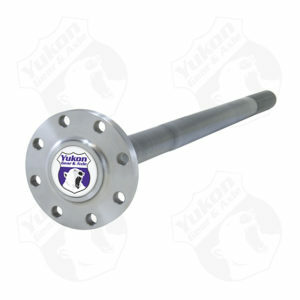 4340 Chrome Moly axle shaft for Chrysler 10.5 & 11.5 rear. Chrysler10.5/11.530Spline4340 (36.1 -> 40.1 ) Full Float AXLE (8×3.96 ). GM 10.5/11.538Spline4340 (31.4 ->35.4 ) Full Float AXLE (8×3.563 ). 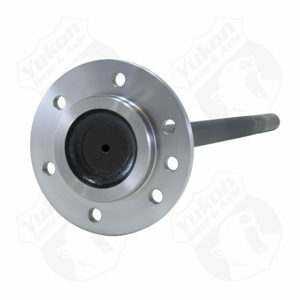 GM 10.5/11.538Spline4340 (34.8 ->38.8 ) Full Float AXLE (8×3.563 ). GM 10.5/11.538Spline4340 (38.2 ->42.2 ) Full Float AXLE (8×3.563 ). GM 14T/11.530Spline4340 (31 ->35 ) Full Float AXLE (8×3.563 ).